After some confusion and broken telephone stemming from another site's broken embargo, this article has been updated with details directly from Diesel. 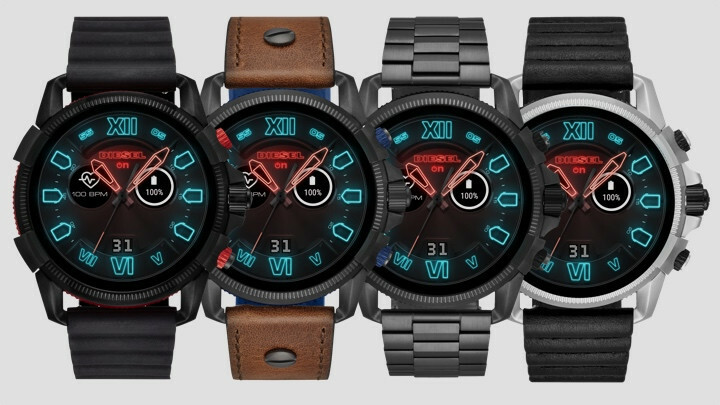 Diesel debuted its first full smartwatch last year, the On Full Guard, a bulky, 1.4-inch display-toting device powered by a Snapdragon Wear 2100 processor that was clearly aimed more at achieving a particular aesthetic than serious functionality. After middling reviews and a year to mull over the original product's strengths and weaknesses, Diesel came to an important conclusion: it needed to be bigger. Thus, the Diesel Full Guard 2.5 was introduced today at IFA, with a 47 by 56mm case, roughly 10mm or so larger than most Wear OS watches on the market. All jokes aside, I have no idea why Diesel chose to make its latest smartwatch this massive, but if garnering press interest was the intention, then it can chalk that up to a success. It's hard to avoid discussing a wearable that is defiantly disregarding the popular criticism that smartwatches are getting too big. 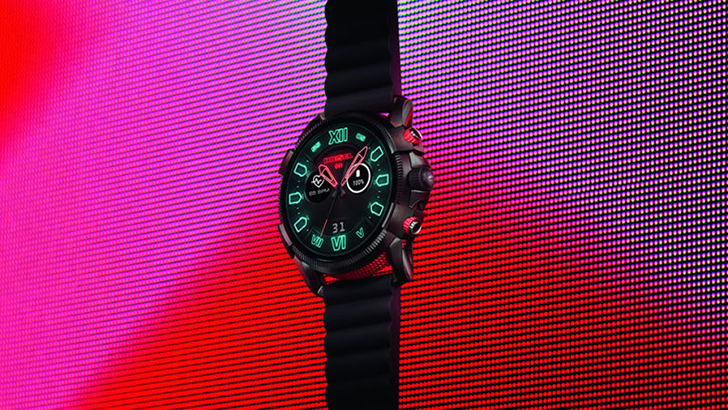 Diesel's new wearable is also interesting because while the watch's case size is 8mm bigger than last year's model, the fashion company tells us it only contains a 1.39-inch display, which is marginally smaller than the 1.4-inch display of its predecessor. From a design standpoint, the watch face design shown in its ad images is also bold; it's got a sort of fluorescent 80s/90s futurism vibe that is extremely on-trend at the moment and, honestly, could look good on the right wearer. Buyers will be able to choose between four design combinations: a gunmetal steel case with brown strap, black steel case with black silicone strap, gunmetal steel case on a three-link bracelet, and a steel case on a black leather strap. As for technical specifications, it supports NFC payments, has 4GB of storage and will, according to marketing materials, last one to two days on a charge. It also offers built-in GPS, heart-rate tracking, and waterproofing up to 3 ATM, which Diesel says makes it "swimproof." The device is powered by the same Snapdragon Wear 2100 chipset seen in the original Full Guard smartwatch. Apart from that, Diesel hasn't revealed much, not even the price (though it'll likely be in the same range as the On Full Guard, which was $325 at launch). The company has announced, however, that the watch will go on sale in October this year where Diesel products are sold. Mark your calendars if you want a timepiece that raises eyebrows — and potentially causes wrist issues.